This morning the preschoolers explored mixing of the colors. We learned that red and yellow make orange, blue and yellow make green and red and blue make purple. We read “Mouse Paint” and discussed all the primary and secondary colors. Easy. Then we conducted a super cool (and super secret) experiment with magic wands and protein molecules. As for our painting today, we explored pointillism and used only primary colors. 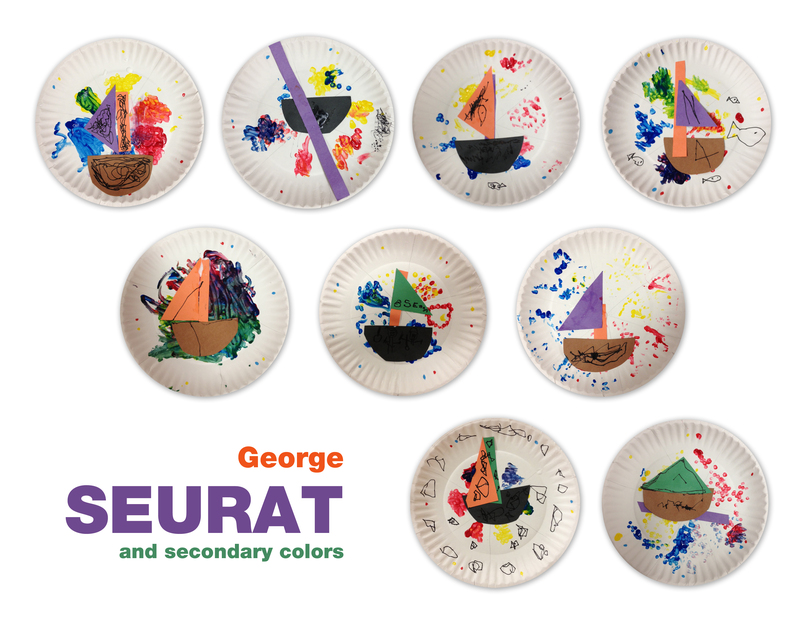 We created a color wheel and added our own sailboat with secondary-color sails. Kids had a blast and did not want o leave the classroom today. That’s the way it’s supposed to be, right?! This entry was posted in Art Projects and tagged art, ArTree, boat, color, magaizne, plate, pointillism, preschool, primary, project, sail, secondary, seurat. Bookmark the permalink.